For Christmas, I wanted to make a dessert with Dulce de Leche because it’s Daryl’s favorite, and sometimes I like to make things especially for him (girlfriend of the year here!). But, that turned out to be easier said than done. We live in a rural area where its hard to find many good quality products unless we travel well over an hour which is not a possibility right now. Hence, no Dulce de Leche was found. I remembered he really liked this salted caramel ice cream topping I had bought once before. 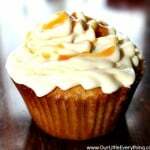 Thankfully I found it and used it to make this Perfect Vanilla Caramel Icing that I put on Williams Sonoma Vanilla Cupcakes. I am happy to say that the icing worked out and this dessert turned out so delicious! I believe Daryl said “You’re moving on to the next round!” Chopped…did ya get that? Yes, I am addicted, and all who know me, know it. I do feel like I cheated a little by using a prepackaged vanilla cupcake mix, but it was a good quality prepackaged mix! Honestly, I even like the cheap prepackaged mix. I have yet to develop a go-to vanilla cake batter. You could use your favorite cake recipe, or just buy any mix you like. The icing is so good, it doesn’t even matter what you slather it on if you ask me! I think this would also taste amazing on chocolate cake as well, but I’ve yet to try that myself. The cake mix I used only made 12 cupcakes, but there is enough icing for 18 or so, depending on how much you use. I like a lot…obviously. 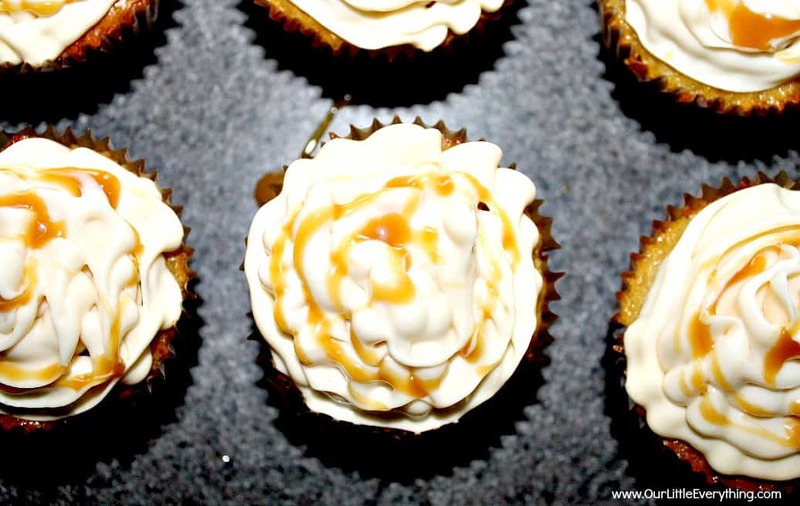 I’d love to hear what you think if you try this Perfect Vanilla Caramel Icing recipe – leave me a comment or send me a message anytime! Enjoy! A deliciously perfect vanilla caramel icing is the ultimate finishing touch! 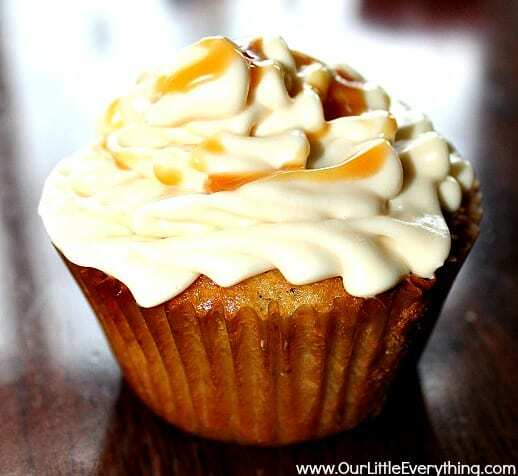 In a mixer, blend together the butter, cream cheese, vanilla extract, and salted caramel sauce until smooth. Gradually mix in the powered sugar. Transfer icing to a piping bag fitted with the tip of your choice and pipe onto cooled cupcakes. 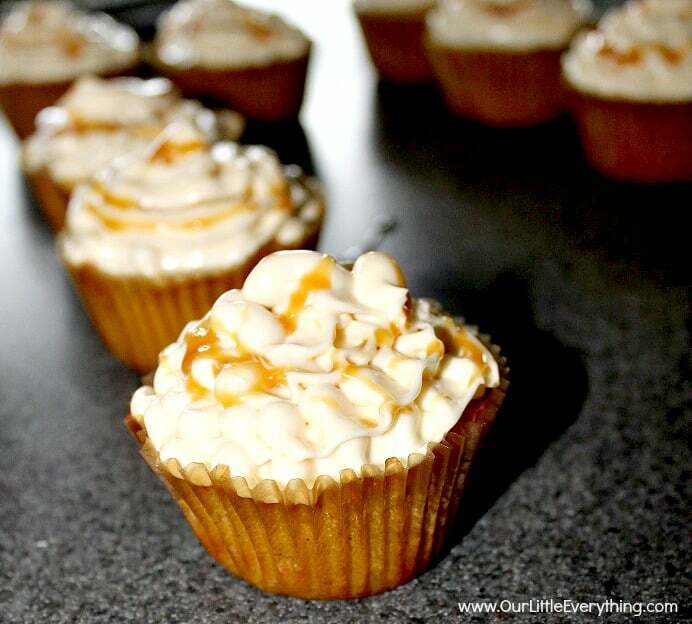 Drizzle extra salted caramel sauce on top if desired and serve. Your recipes always impress me. And again I see an incredible dessert. Looks very nice and I’m sure it’s very tasty. I’m sure my children will be delighted with this. I love it! Thanks. What a decadent icing recipe. I would probably eat it right out of bowl. These does look perfect! Can’t wait to give it a try! Caramel is my all time favorite sweet treat. These cupcakes look so decadent. Great step by step detailed recipe!! I bet I could eat this icing right off a spoon – I don’t even need cake. Ha! Oh my! These do look perfect! Mmmmmm…. anything with caramel is so good! I think I’ll try this on chocolate cupcakes. Ohhh that would be so good!! 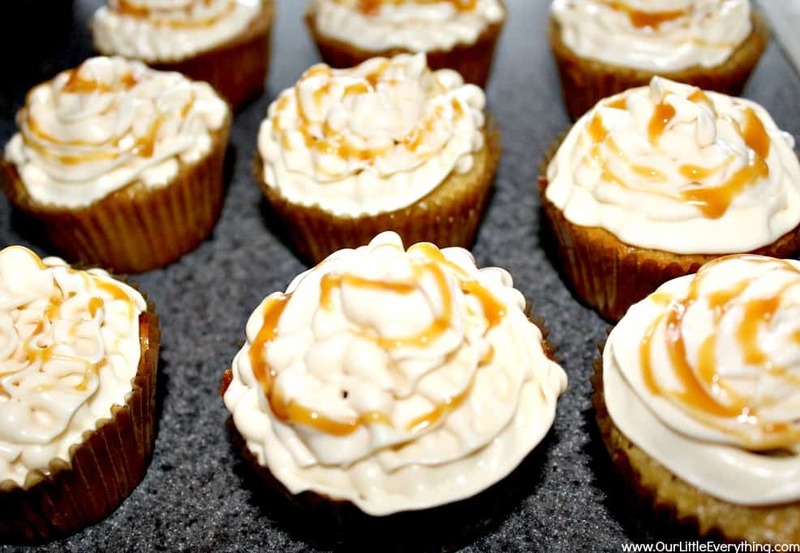 Oh, this caramel cupcakes look wonderful, caramel is my favorite! I can’t wait to make these for my babes! Thank you for sharing. Hope they love them too! The cupcakes look so fabulous. Thank you for another great recipe.